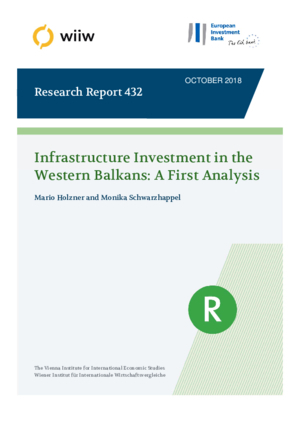 This study provides a first analysis of the recent development in infrastructure investment in the Western Balkans. It identifies infrastructure gaps as well as key infrastructure initiatives in the region, outlines the political dimension and provides the respective detailed infrastructure investment data as collected from the Western Balkans statistical offices. The Western Balkans are a good case study also for other regions in the EU neighbourhood that have similar developmental problems. It teaches that (i) intensity of involvement is important; (ii) the composition of the funds matters; (iii) infrastructure funding will not automatically lead to more political cooperation; (iv) infrastructure development funds can also be used as a sort of reward for more political cooperation. These principles could be applied in the EU’s neighbourhood policy for the Eastern Partnership countries as well as the Euro-Mediterranean Partnership countries, according to the local requirements.